I recently read an article about a man who has a “bucket list to go everywhere.” The article claims he is the “Worlds Most Traveled Man.” I am not that kind of checklist traveler…I don’t need to “go everywhere.” But I do maintain lists of things I want to see, otherwise, I might never leave the internet. 😉 When it comes to an already well-developed list such as our 59 National Parks, I figure there is a good reason to use that list as a guideline. These places have received the pinnacle of “Park” status, not “Monument, Seashore, or Reserve.” Only 59 of them are an official “Park.” So there must be something special there worthy of a list, right? 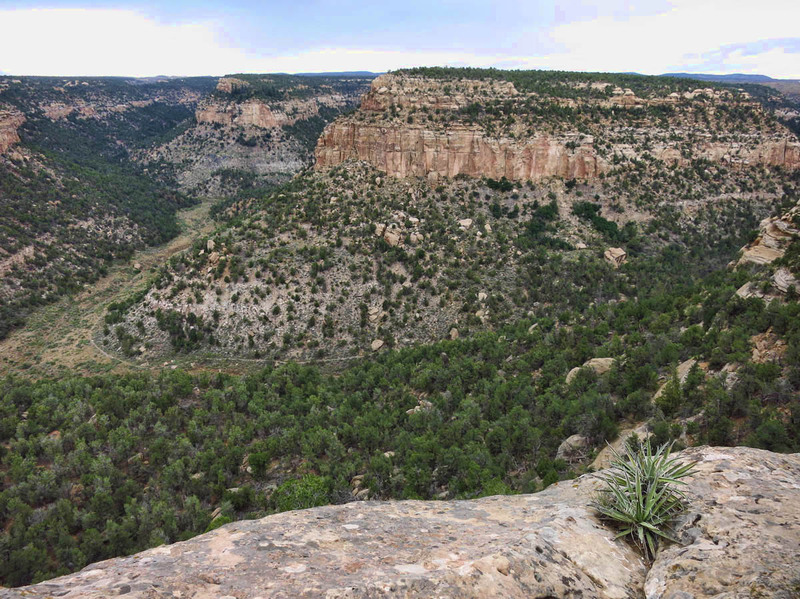 So I confess, while in southwestern Colorado, I took a slight detour to visit Mesa Verde National Park. Not because I had any knowledge, let alone interest about the Ancestral Puebloan people. Quite the contrary. I just wanted to visit the National Park. This is the second such checklist item in my life that opened my eyes wide to something I previously knew nothing about. I admit to wanting to visit Antarctica to “tag the seventh continent.” I left there spellbound by what I had seen. I was literally swallowed up by the sheer magnitude of the life cycle that takes place there in spite of man’s egoistic existence. 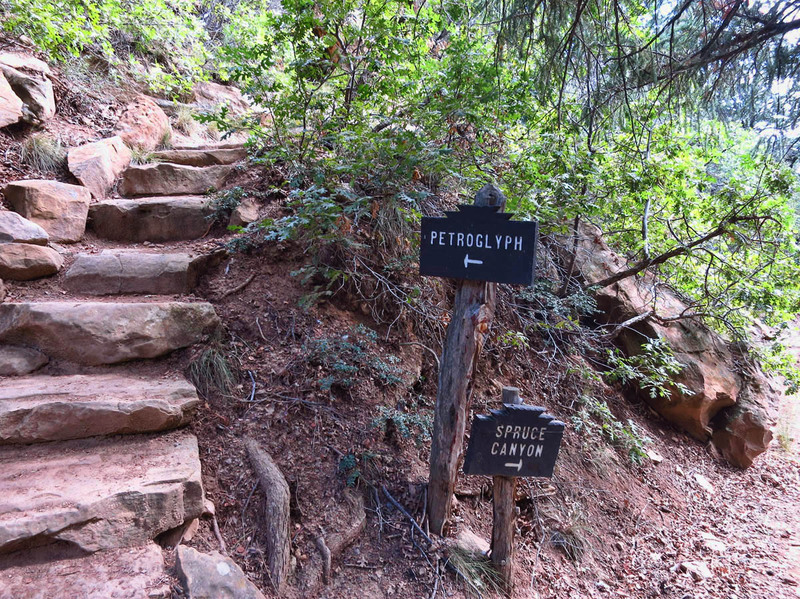 Although on a much smaller scale, I experienced that same sort of epiphany in Mesa Verde. 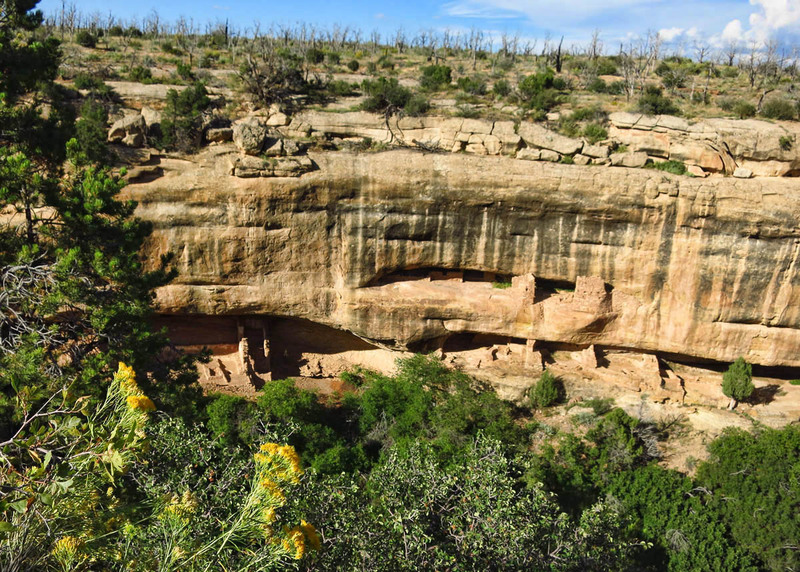 The Ancestral Puebloan people were believed to have lived in this area from AD 550 to 1300. 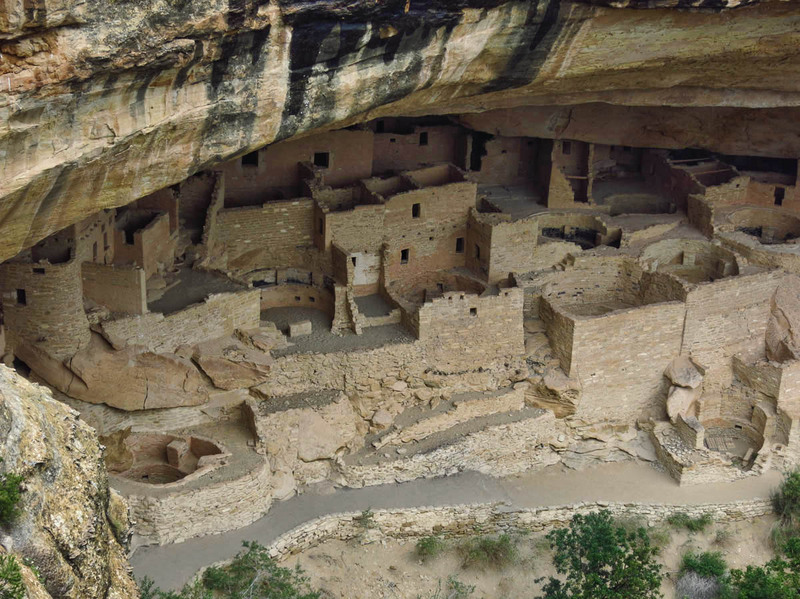 There are over 5,000 ancient architectural sites at Mesa Verde, 600 of which are cliff dwellings. Around 40 of the 600 are visible from the park roads and overlooks. 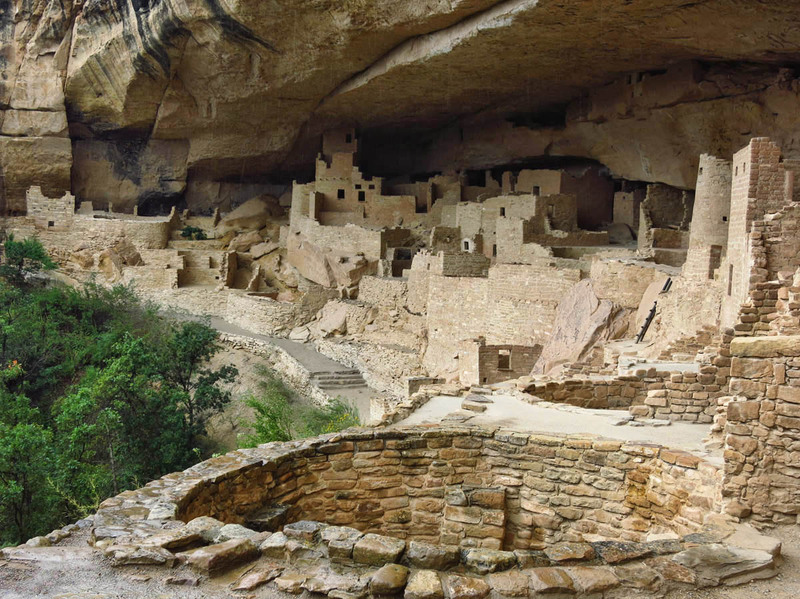 These recessed cliffside dwellings were believed to be the last phase of their habitation, from AD 1200 to 1300. Yep, the trail goes through that crack! 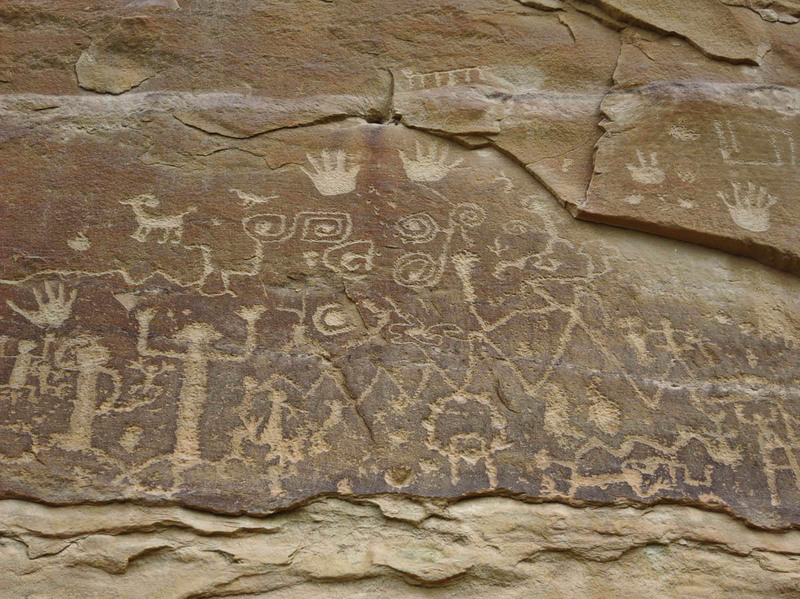 This group of “ancients” has been more commonly known in the past as the “Anasazi,” but we were asked not to use that term, as it is a Navajo name which translates into “ancient enemies,” ergo the more PC term of “Ancestral Puebloans.” A mouthful, eh? We were also asked not to refer to the dwellings as “ruins,” as they are much in the same condition today as they were 800 years ago, and not “ruined” at all. 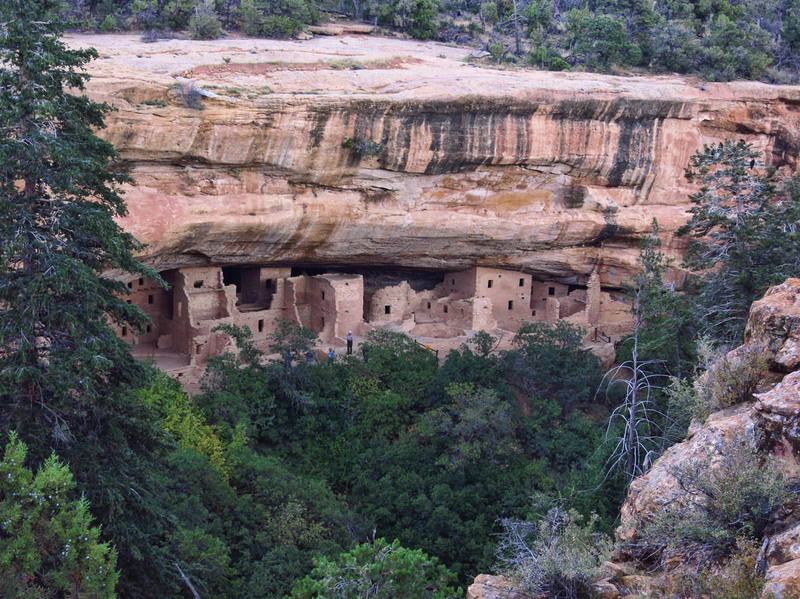 Looking across the canyon, it is possible to see many dwellings in the natural alcoves. I had been watching the weather, as the high temperatures in the arid southwest region could make “no hookups” in the National Park an unpleasant experience, not to mention walking around on sun baked rocks all day. But there was a cold front on the way, promising cooler temperatures during my stay. There would also be rain showers, but hopefully the increased clouds would mean fewer crowds. Thirty-two foot ladder constructed back in the 30’s must be climbed to access Balcony House. Though this 12′ x 18″ tunnel is now at the exit, it was believed to be the only entrance to Balcony House. My first stop after pulling off the highway from Durango is the huge, modern, impressive Visitor Center and Research Center. It is teeming with activity. My turn comes up, and I get a volunteer who is also a solo full timer, so immediately we strike a bond and swap stories. She tells me about the three ranger-guided tours, and also recommends some of the self-guided activities in the park. The three main sites can only be visited on a ranger-led tour, but they are only $4 per tour. At that price, I book all three, and figure it is not much to lose if I decide after the first one that it’s not for me. Balcony House has 38 rooms spread over 3 plazas, or courtyards. Original wood with tree rings dating back to AD1200, believed to be part of what was a “balcony,” enabling dwellers to walk from second floor room to room. She recommends Balcony House as the first tour of the day, because that is a smaller site, and it gets more crowded as the day goes on. This is their most “adventurous” tour, and it comes with a long list of restrictions. Can I climb a 32 ft ladder without freezing from fear of heights? 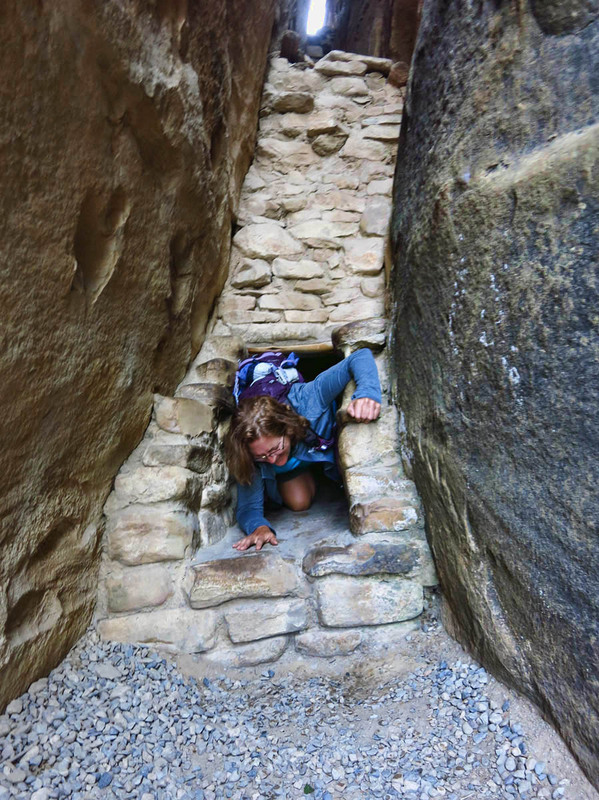 Can I crawl through a 12′ long by 18″ wide tunnel with no fear of claustrophobia? There are replicas in the Visitor’s Center, just to be sure. Check and check. (Odd that there was no mention of the 60 ft rock face you must scale to exit the site!) I book the larger, most popular Cliff Palace tour immediately thereafter, and book the more remote Long House tour first thing the following day. She directs me up the long hill, four miles to the Morefield campground. Looking down on the 32 ft ladder from one of the balconies. 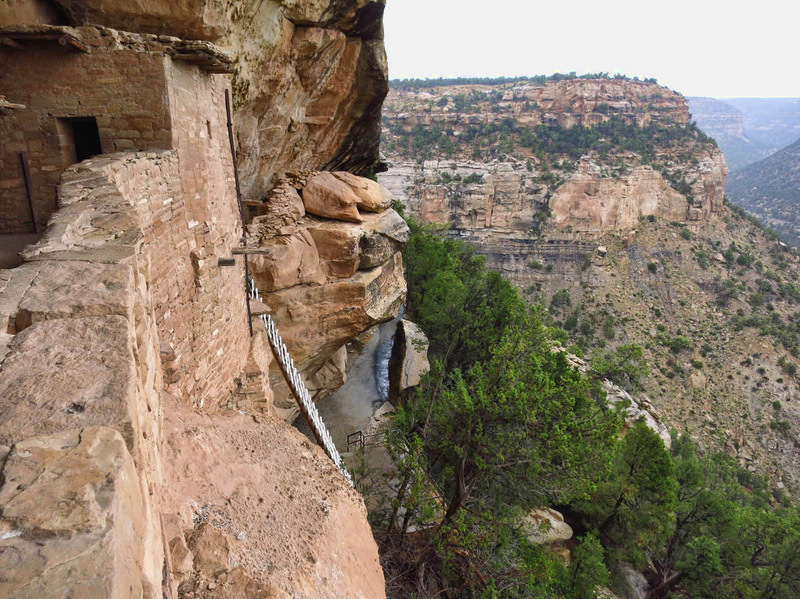 The dwelling is 600 ft above the canyon floor. Balcony House only had 2 kivas, constructed side by side in the center of the house. Climbing up 60 ft rock face to exit Balcony House. At the campground, there are free shower rooms with lots of hot water, a nice big Laundromat with wifi, a General Store, a cantina, and a gas station selling both gas and diesel. There should be. For the ridiculous price of $29 a night for a campground with no hook-ups, there should also be a free car wash included! But it’s a matter of “location, location, location,” as the park sites are another 10 miles further up the road, and 4 miles into the park is as close as an RVer can get. I find a nice, secluded spot on the Walpi loop, the most wooded loop in the campground. I recommend this loop, as it has several sites surrounded by short trees, tall enough for privacy, but not too tall to block the solar panels. The architectural sites are concentrated on two different Mesas, Chapin and Wetherhill, separated by the deep Navajo Canyon. 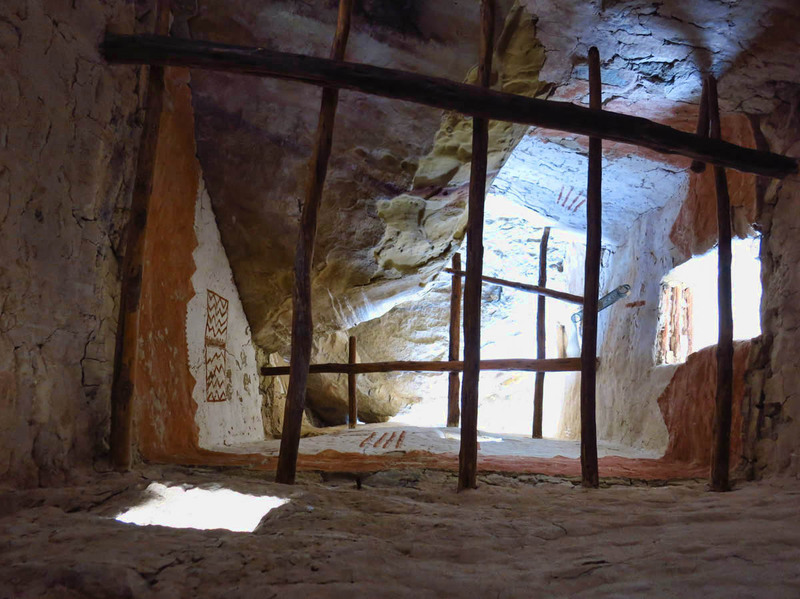 Of the two mesas, Chapin sees more activity, with an architectural museum full of period artifacts, a 25 minute video, and impressive dioramas showing the phases of the Puebloan people, from first initial pit houses, all the way up through the migration from the cliff dwellings. 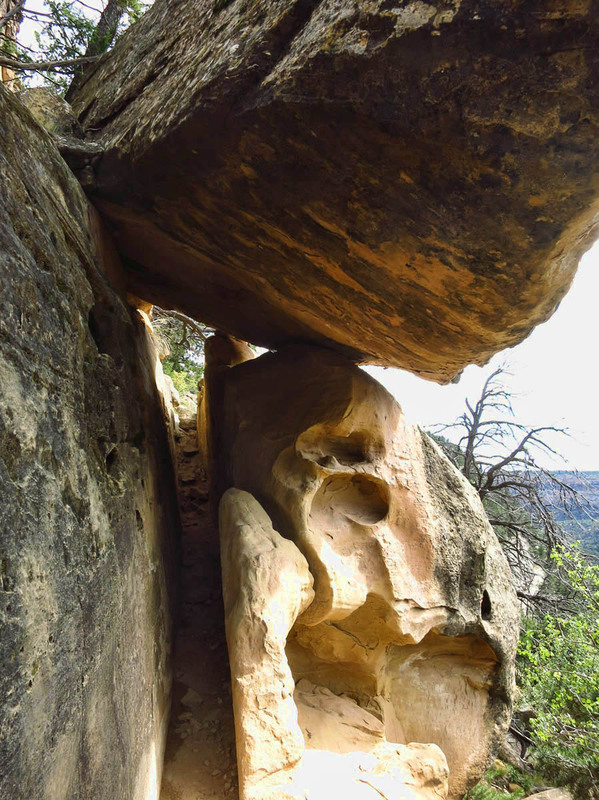 I spend my first day in the park exploring Chapin Mesa, touring three cliff dwellings, visiting the museum, driving the scenic loop, hiking a five mile loop down into Spruce Canyon and to the Petroglyphs. It was a full day! There are round towers as well as square towers in the dwelling. Overlooking one of the kivas, which were great architectural fetes for their time, with ventilators and tunnels. My first tour of the day, Balcony House, considered the most “adventurous” in the park due to the 32 ft ladder and tunnel that must be navigated to access the site, will be a wet one, as the rains are steady. But this works in our favor. The Ranger tells us he typically as 50 people for this tour, whereas there are only 10 of us. And the rain doesn’t really matter much once we get to the site, as the alcove is dry. The Ranger tells us this is his favorite tour, as it is considered the most “intimate” of all the tours. We will be accessing different rooms, whereas the larger Cliff Palace is more of a “drive by,” and since we are such a small group, we will see even more. A view on my back, looking up into the Painted Tower. Note painted plaster is original. The Cliff Palace tour is much more crowded in spite of the rain. 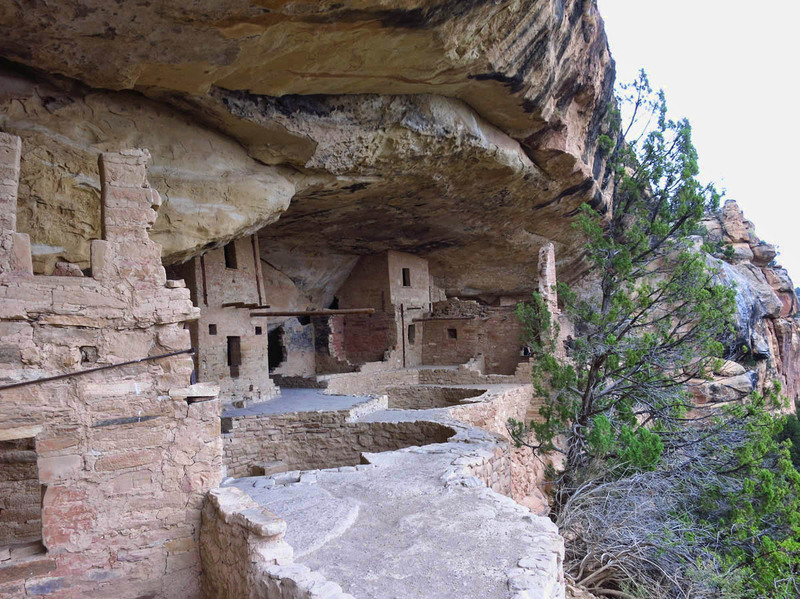 It is the most popular site in the park, as it was the largest of the cliff dwellings with over 150 rooms. 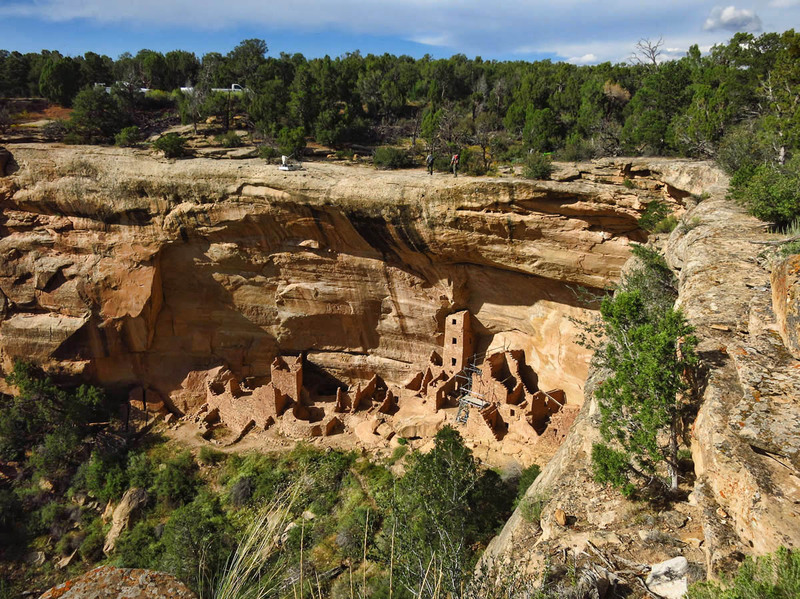 With its 23 kivas, it is thought that Cliff Palace was a social, administrative site with high ceremonial usage. 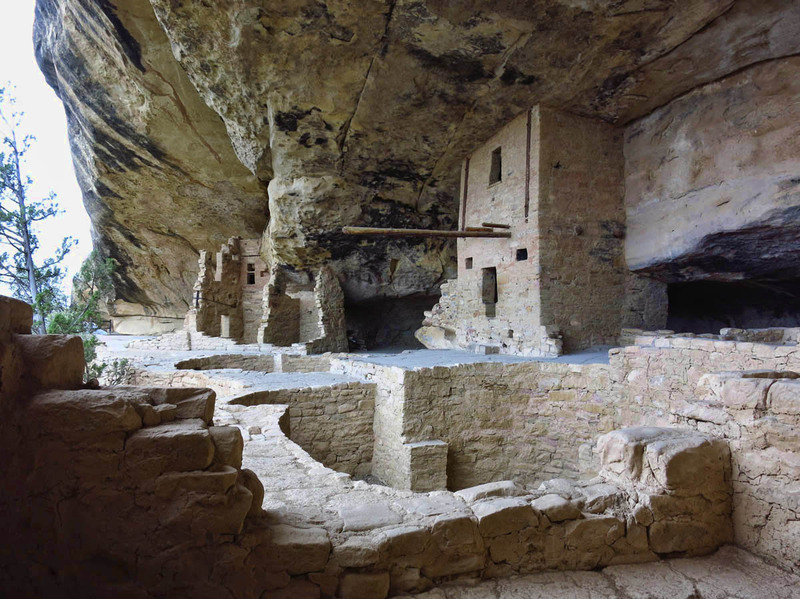 These perfectly round, subterranean kiva structures were believed to serve multiple purposes, from religious ceremonies to supporting family life in an underground environment that maintained a consistent 50 degrees year round, requiring only a small fire in winter. Cliff Palace was believed to be home to 100 to 120 people. View of Spruce Tree House from path. Spruce Tree House, a quarter mile down the path from the museum. Inside a restored underground kiva. Roofs were made from logs. 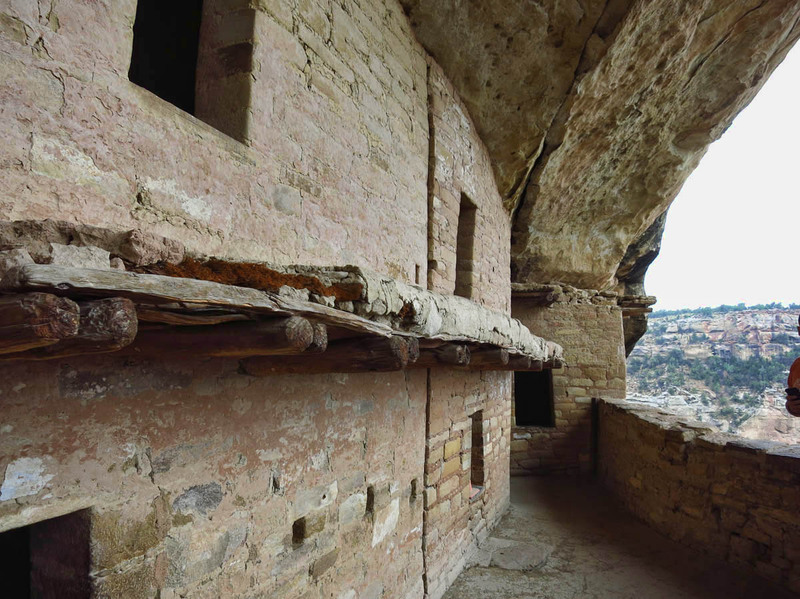 The third dwelling open to visitors on Chapin Mesa, The Spruce Tree House, is also the third largest of the cliff dwellings. 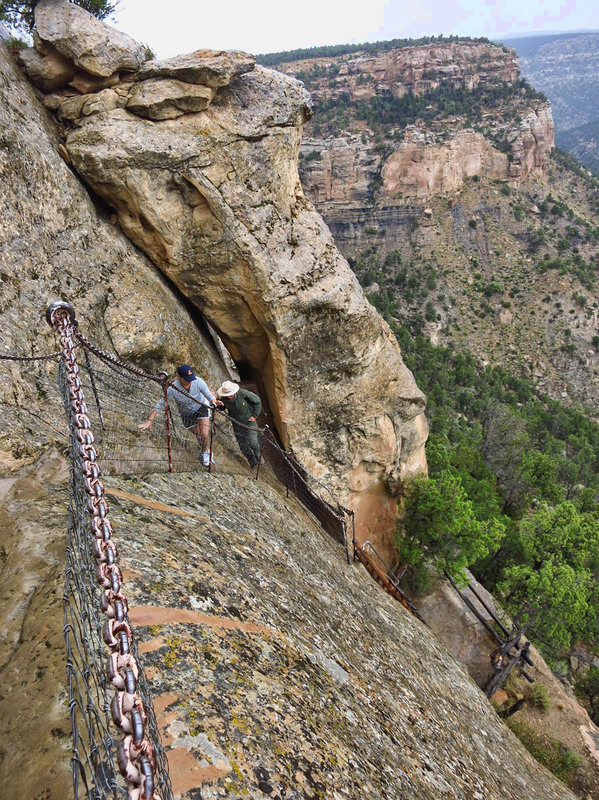 It’s accessible via self-guided tour, just a quarter mile down the trail from the museum. It is considered to be the best preserved of all the dwellings due to the larger overhang of the alcove, which helped protect it from weather. There is no fee to access this site, since it is a self-guided tour. Square Tower House, with 60 rooms and 8 kivas. Under current preservation efforts, but 90% is original. 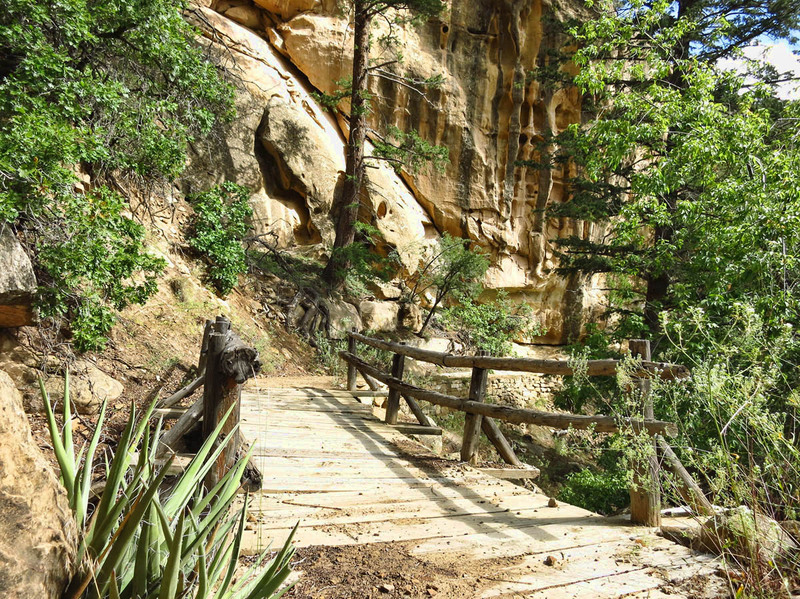 Feweks Cabin, built 1916, Mesa Verde’s first Ranger Station, later turned museum. Named after Jesse Feweks, pioneer archeologist. 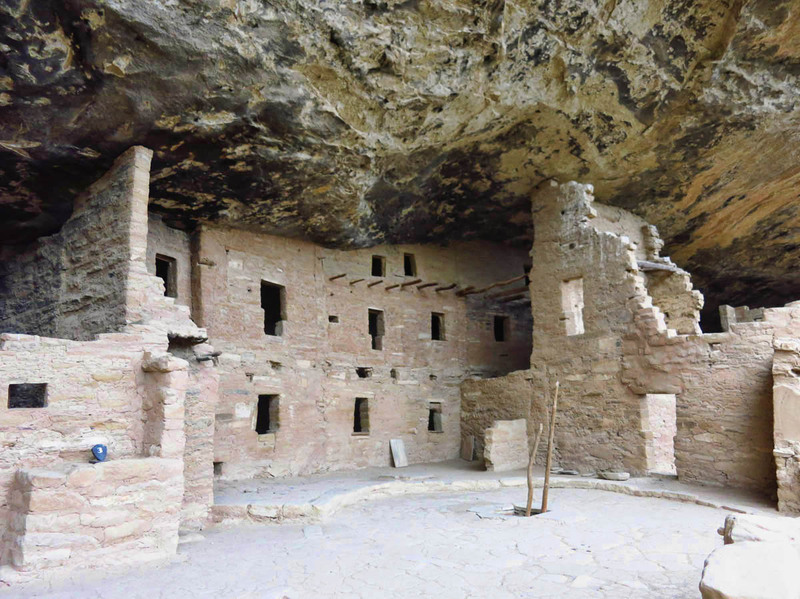 This entry was posted in Colorado, National Parks and tagged Balcony House, cliff dwellings, Cliff Palace, Mesa Verde, Morehead Campground by Suzanne. Bookmark the permalink. Fantastic pictures Suzanne. Sounds like lucky rain for you to get such an intimate tour of Balcony house. Really appreciate the advice on where to camp for solar. Really enjoyed this post. What a busy day you had. 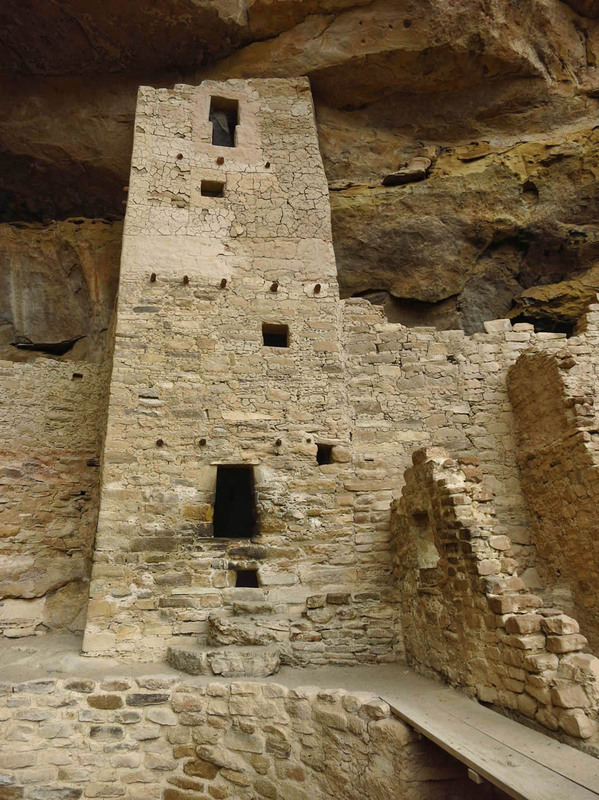 I have been to Mesa Verde and it is one of my favorite parks. But it was years ago before RVing and I wasn’t there nearly long enough. I would love to go back and stay stay even at $29 a night. Thanks for the feast for the eyes in both your words and photographs. Thanks for such a nice comment, Sherry. I did enjoy my time in the campground there, as I had beautiful views. I think my site nbr was 322. I appreciated all the amenities, as the showers were free (even though they had coin boxes, so hope that does not change) and the laundromat was very nice! And I don’t tow the Tracker with a full tank, so I appreciated not having to drive back down the mountain to refuel! I too am on a quest to visit all 59 National Parks. (Yes , there are now 59) Great shots of some scary stuff! Hi, Diana. Thanks for the comment and correction! How did I miss that? I have changed it to 59. Thanks! Another thing we have in common…quest for National Parks and lighthouses! When I visited there last year, the question that kept going round in my head was Why? The People hunted and grew crops on top of the mesa’s and went down in the canyons for water. But why live and build structures in alcoves just below the rims? And it seems like everyone did it in this area. Yet, go south into NM or just west into AZ and they lived differently. Protection from the elements, enemies, and predators was one answer. But it struck me as odd places to build communities given they had the skills to build structures. I guess you had to be there back in 500 AD to fully know the answer. Suzanne – Wonderful pictures and explanation. 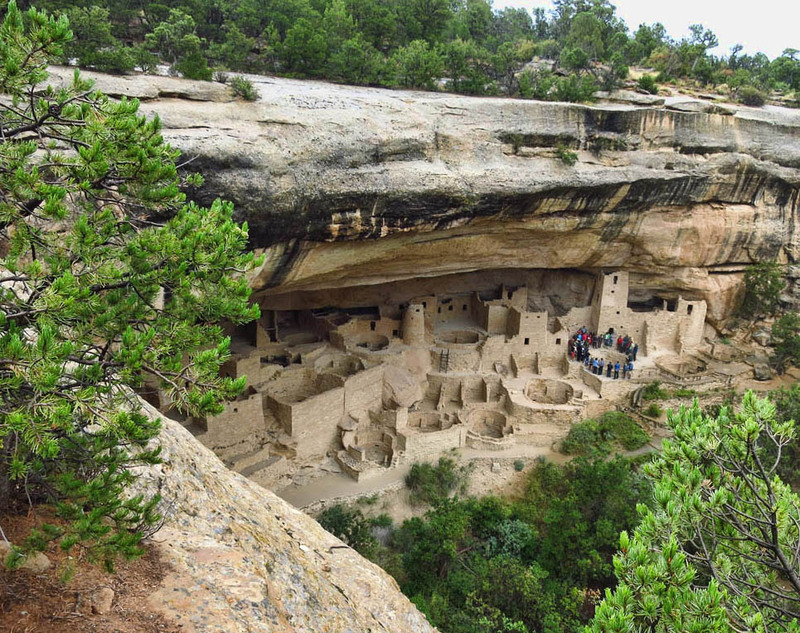 I remember my family stopped at Mesa Verde in the summer of 1969 when we were driving from Governor’s Island, New York to Los Angeles, California. I felt your post here is like seeing it for the first time. There is so much more there than I remember. Of course, none of us climbed up a 32′ ladder! Thank you. Beautiful place. Pamela, the site must have been quite a surprise, back in 1969, having no benefit of the internet to see pictures ahead of time, or read articles on “Top 10 Things to Love About Our National Parks!” 😉 Thanks for the compliment. You have to tell me something about Antartica. I had no idea you had been there! I guess that we need to get back to Mesa Verde one day to take the fee tours. We did the Spruce Tree House several years ago on a motorcycle trip in our motorcycle boots. I’ve always been interested in the ancient ruins in the wild. I guess that is why we love spending time in Bluff, UT and hiking into the canyons to find various ruins in the canyon walls. 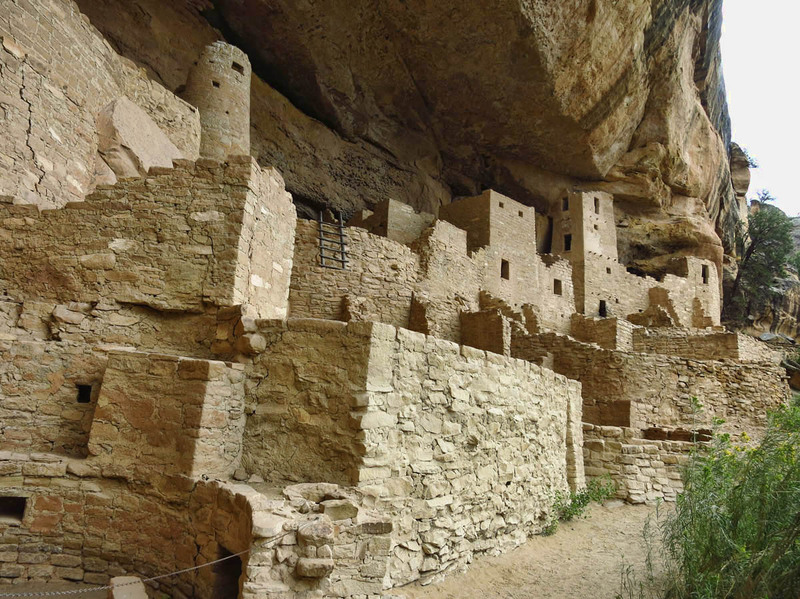 But I have been interested in spending more time in the Mesa Verde area. Waiting til the end of the season might be a good idea. Thanks for the great photos and info! Pam, I had to laugh at you touring the sites in your motorcycle boots. What would the “Ancients” have thought if they could have seen that! haha! Sounds like I need to do some exploring around Bluff this fall…. Wow! We have done many of the Arizona cliff homes and loved every minute of it. 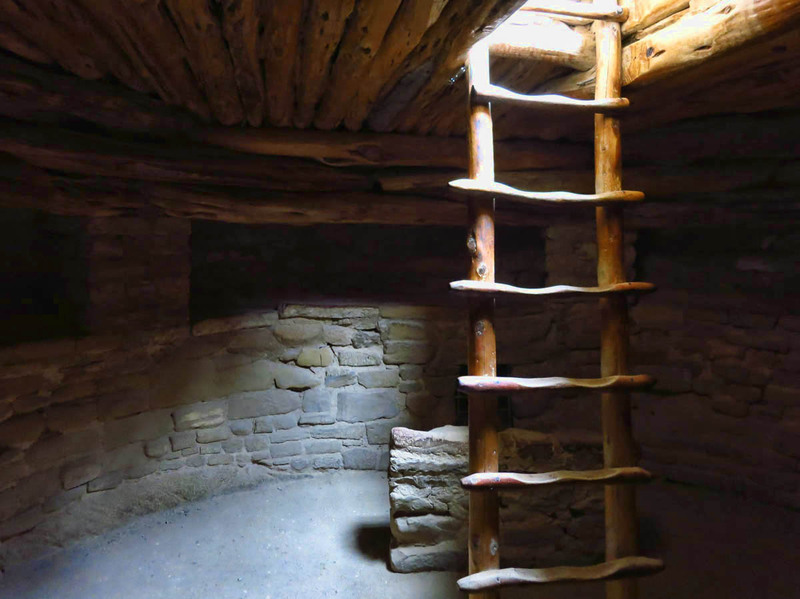 Your pictures and words have motivated us to add Colorado ancient homes to the list of must see. I do not have much claustrophobia, but it does exist. I am more concerned about an eighteen inch hole though. Karen, the tunnel wasn’t bad, because you could see “light at the end of it.” It just took about four knee-strides to get through it. Not bad. Brings back good memories of when I worked at Mesa Verde in 2005. Many people couldn’t handle the adventurous Balcony House. I swear I heard women talking and children laughing from the past in Cliff Palace. Yet my favorite was Long House. Thanks, Gaelyn. I was a little nervous when I read in a previous comment that you worked there! Hope I did okay on the descriptions. It would be a toss-up for me which was my favorite between Balcony House and Long House, but I think the two moments of silence put the Long House in the winner’s circle! 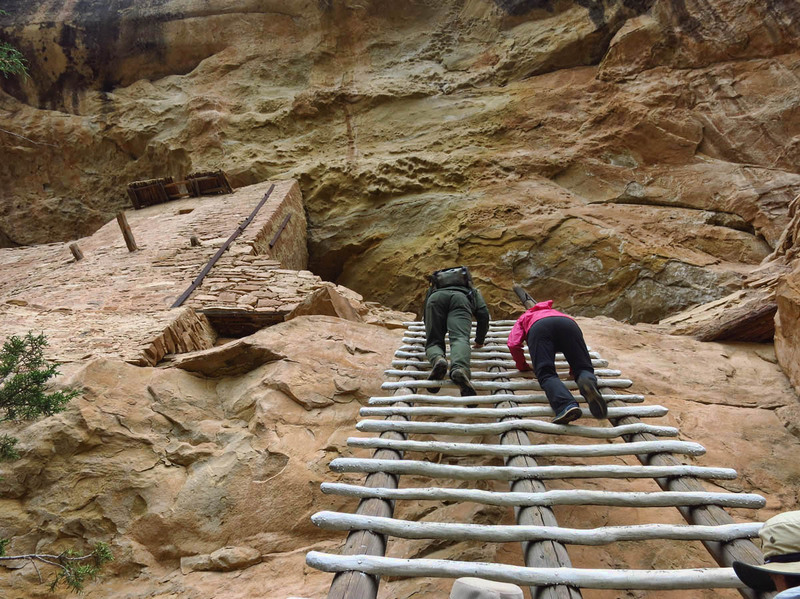 Thanks for the detailed tour of Mesa Verde Suzanne. It has been years since we have been, but it has always held some magic for me. Looks like another visit may be in order. 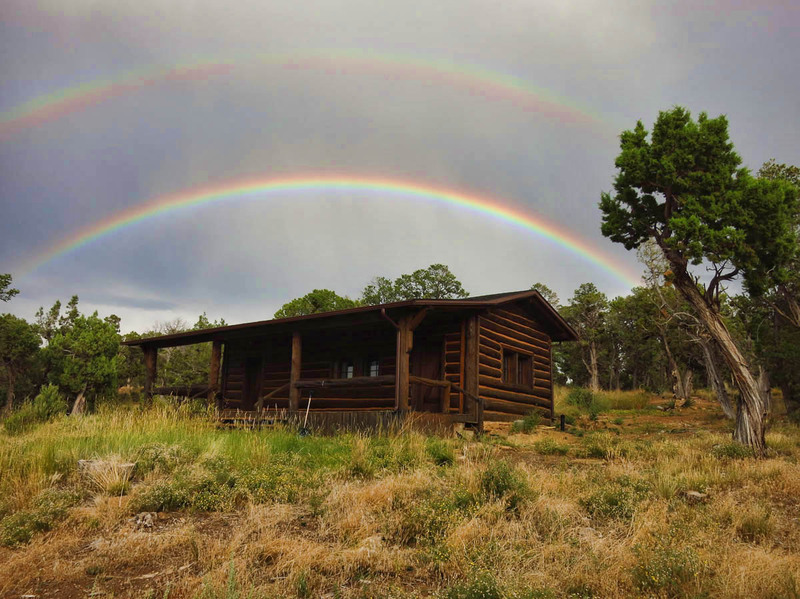 Great double rainbow shot! Thanks, LuAnn — The magic was a surprise to me. I would love to see that place in winter!